We lease several private ranches in Northeast New Mexico. 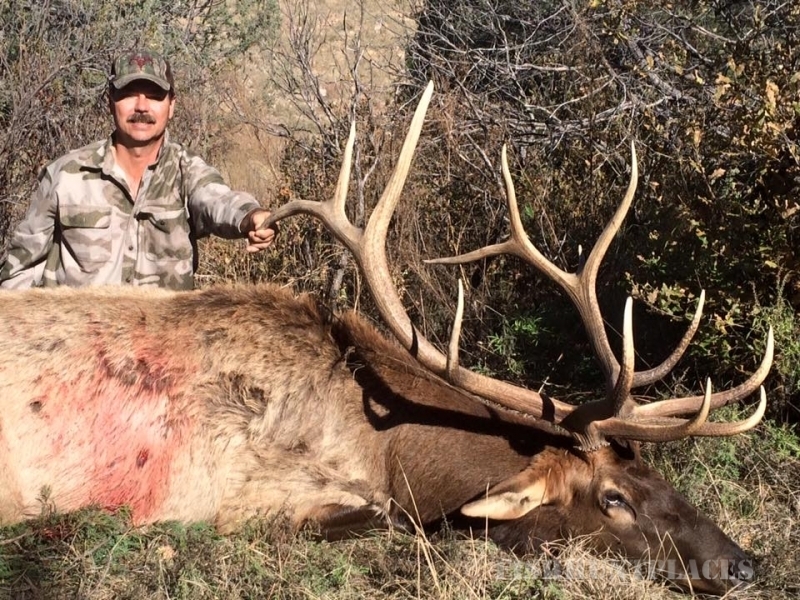 This area has canyons and top country running on both sides of a river valley which is an ideal home to elk, mule deer, antelope, bear and turkey. 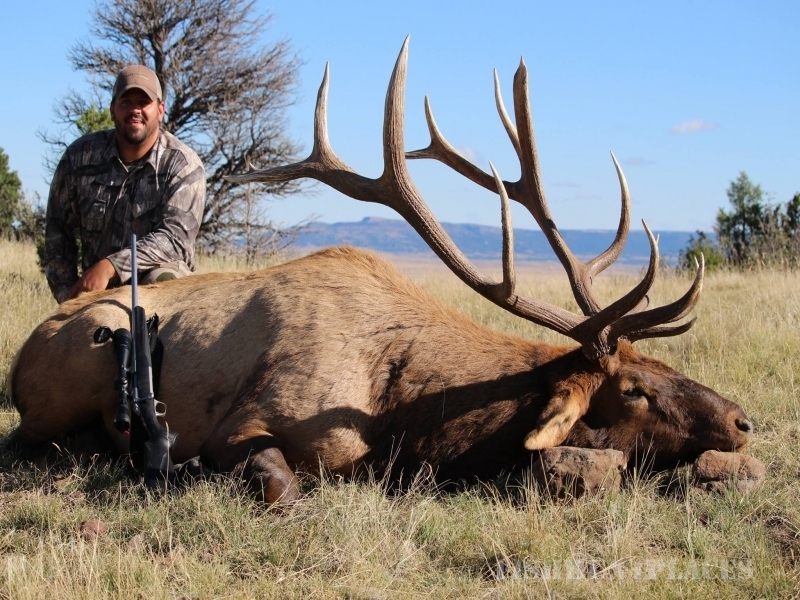 We offer fair chase, guided trophy hunts for each of these species. We are improving wildlife habitat by thinning trees, improving water, controlled burns, and controlling predators. 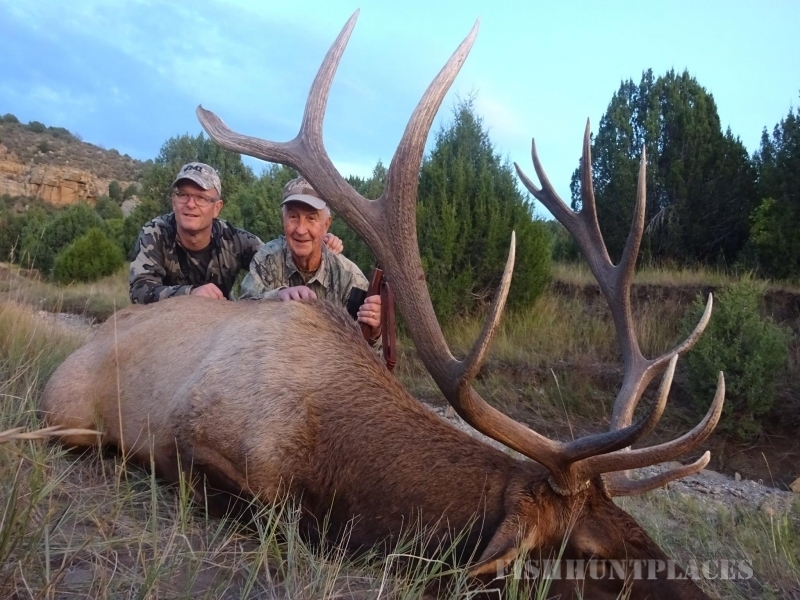 Our high quality hunts are maintained through selective trophy hunts and a very limited number of hunters. 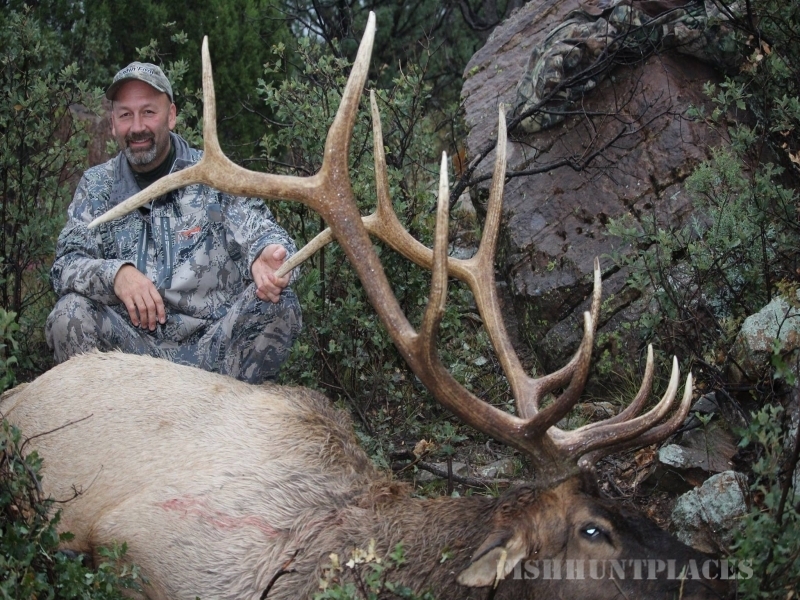 Long-term emphasis on quality and respect of the game has been the key to high success rates for our hunters. Located in the middle of prime hunting country our hunting country includes a variety of wildlife habitats. Ponderosa pines, cedar and pinion trees, mountain mahogany, oak brush and gramma grass are native to the land. Nutritional grasses and alfalfa grow along the river bottom hay fields. Ranging in elevation from 6,500 feet on mesas and volcanic peaks to 5,300 feet in the canyons, and bottom country. Most of the terrain is accessible by 4 wheel drive vehicles, which enables hunting off the rim rocks. 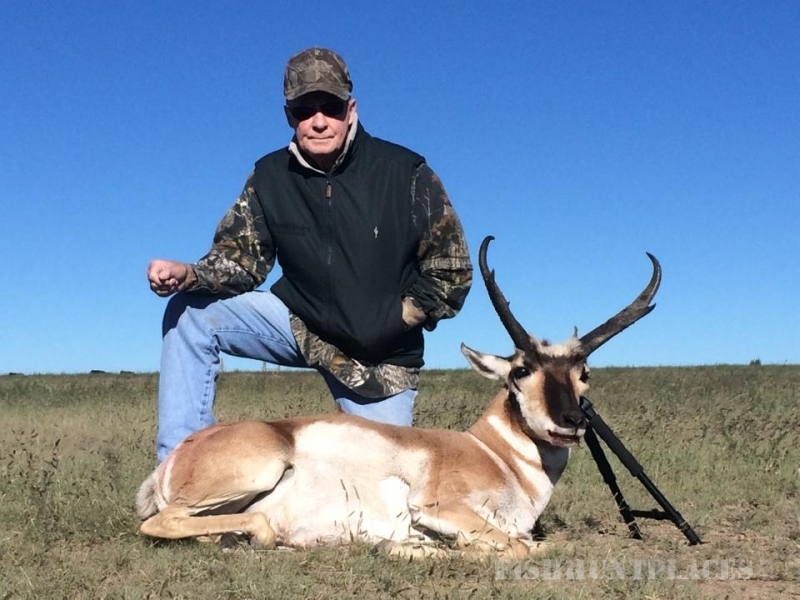 Our hunts are ideal for the hunter having difficulty with the rugged country that wildlife inhabits, for the hunter who can’t get around like they once could, we have successfully guided hunters in their mid 80s, hunters in wheel chairs, many with ankle, knee, or hip difficulties and have success rates in the high 90% on quality trophy animals in a fair chase environment. 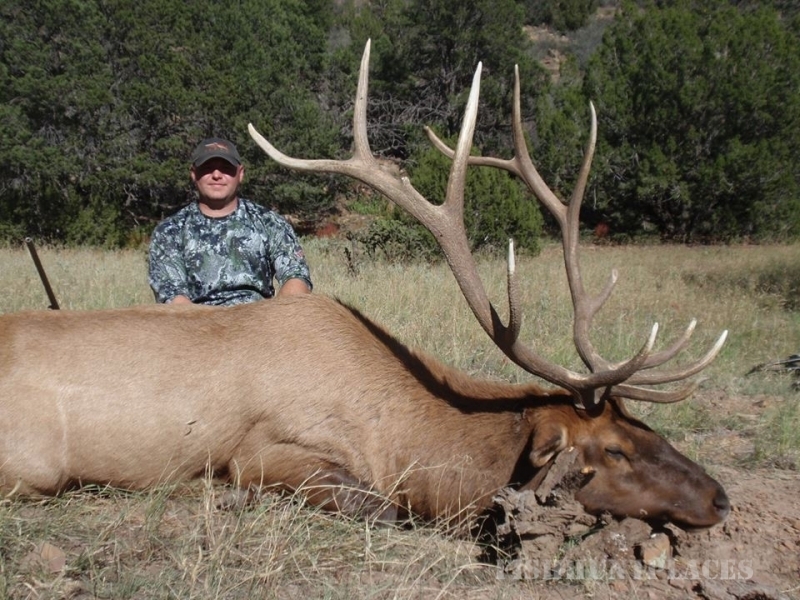 Hunting license are obtained through private land permits we issue or over the counter license. These are both aguaranteed hunting license, there is no state drawing to apply for. Most of our hunts are spot and stalk. 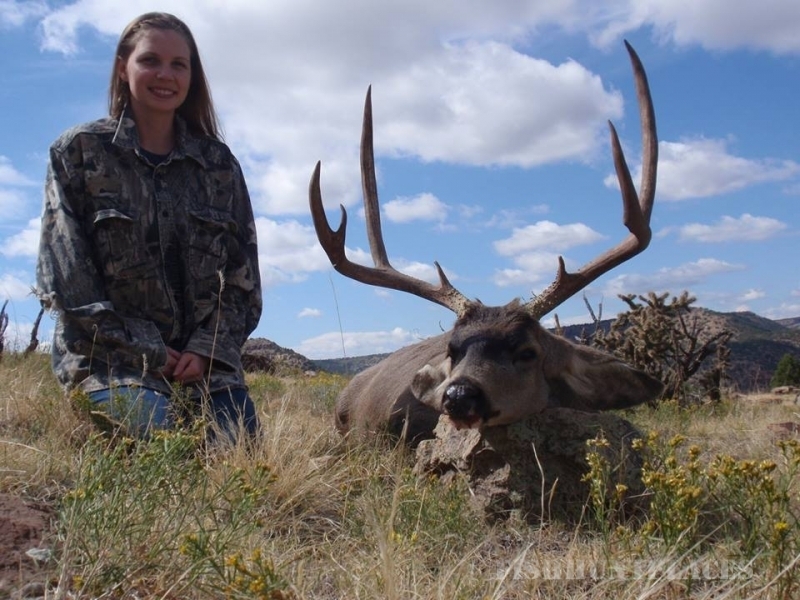 We taylor hunts for the individual hunter and small hunting parties. We seldom have more than 5 hunters on any one hunt. Our experienced guides have guided in this area for several years. 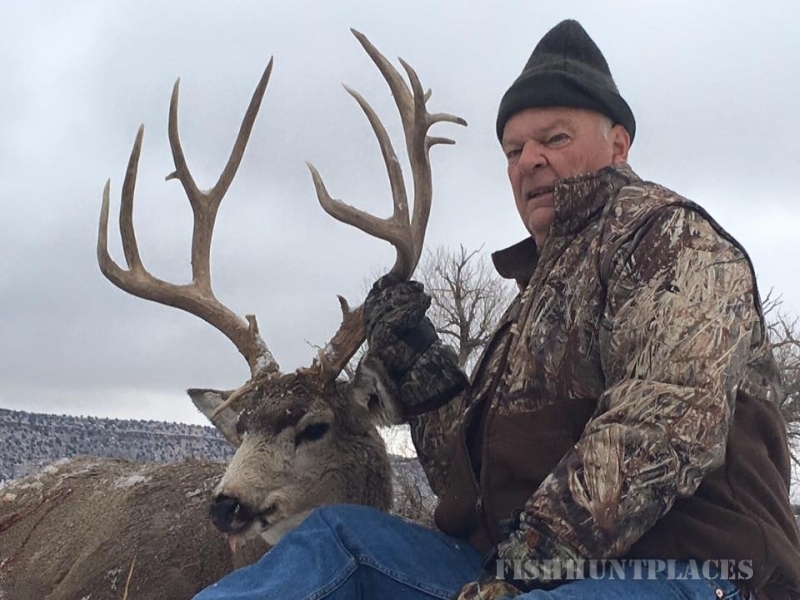 This is an added advantage as guides are familiar with the country and assist in countless hours of scouting before hunters arrive and between hunts. 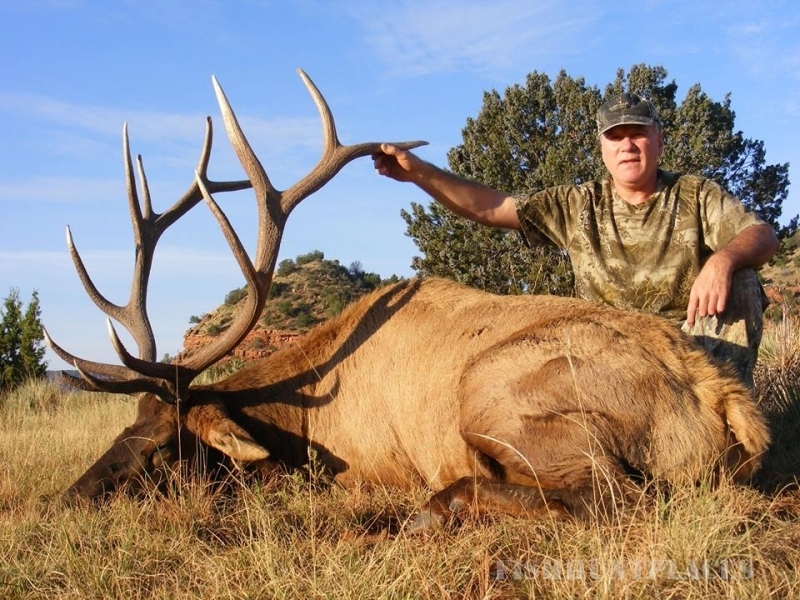 On-site lodging is provided in a comfortable new hunting lodge consisting of, 7 bedrooms, 4 baths, kitchen and large living room area, deer, elk and turkeys can be observed regularly out the lodge windows or from the porches. Bedrooms are double occupancy with a bathroom shared by two bedrooms; we have satellite big screen TV and Wi-Fi. All bedding, linens, towels and great ranch-style meals are included. 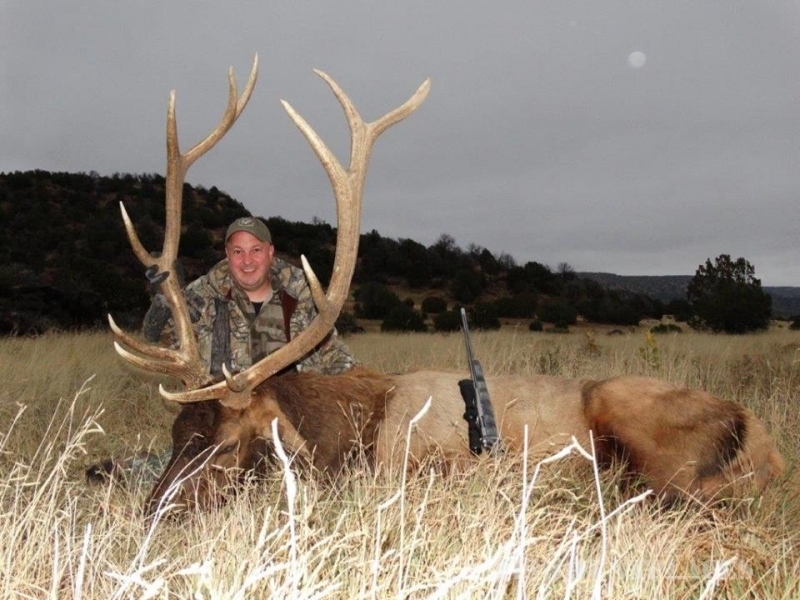 All hunts are guided, trophy elk, mule deer and whitetail, 1X1, management mule deer, antelope, cow elk, turkey, and black bear 2X1, Hunters only need to bring their own personal items. The nearest airport is Colorado Springs, CO. Other airports are located in Denver, Co; Albuquerque, NM; and Amarillo, TX. 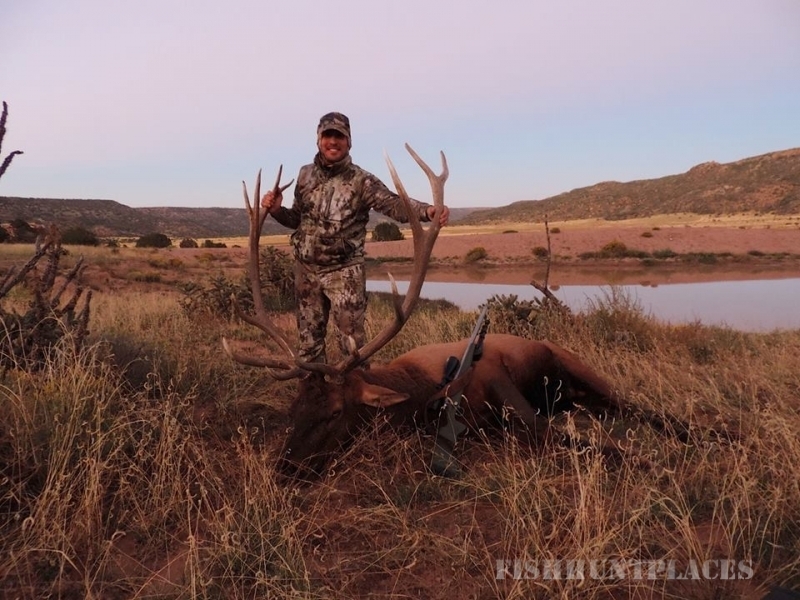 Hunters are scheduled to arrive at our lodge the afternoon of the day before the hunt starts. 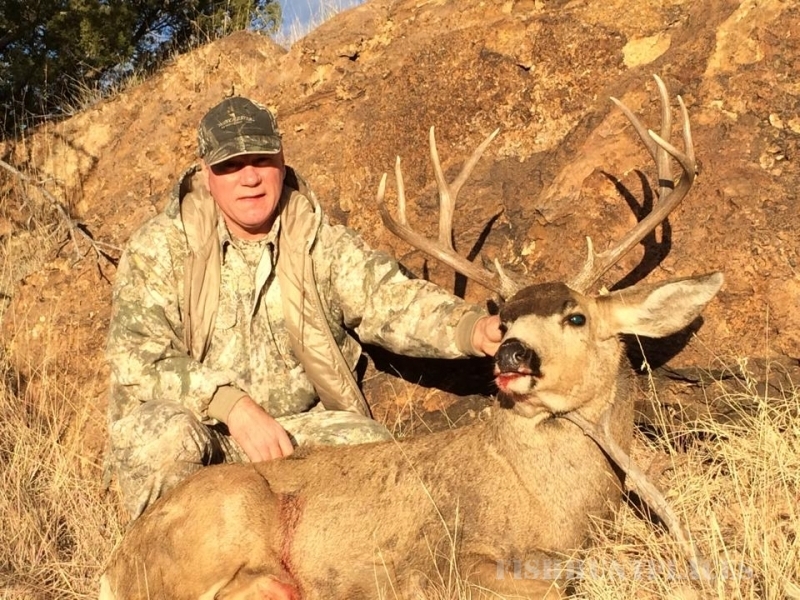 Price of the hunt does not include New Mexico hunting license, transportation to or from airport, processing and shipping of meat, taxidermy services or gratuities. A deposit of half the price of the hunt is required at booking. The second half is due upon arrival and to be paid in cash or same as cash only. 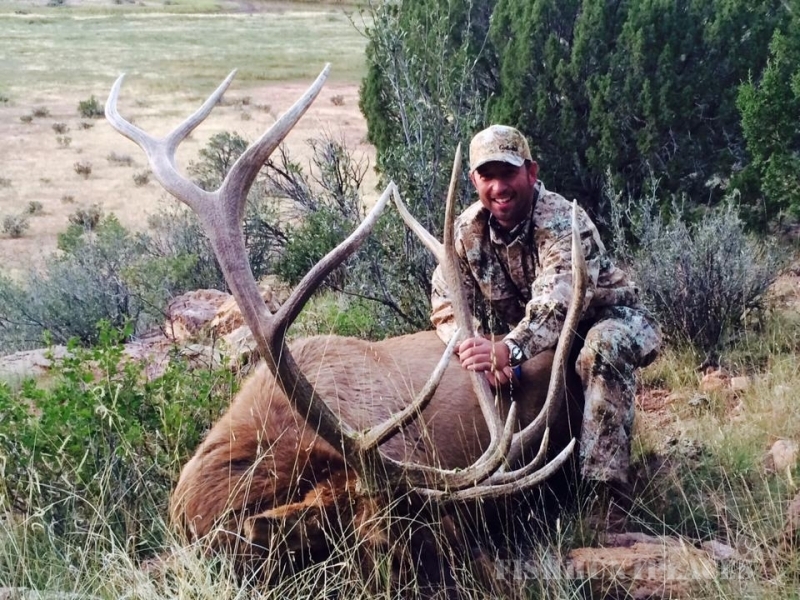 Non-hunting guests will be charged $125 per day. If you have further questions, please don't hesitate to contact us.